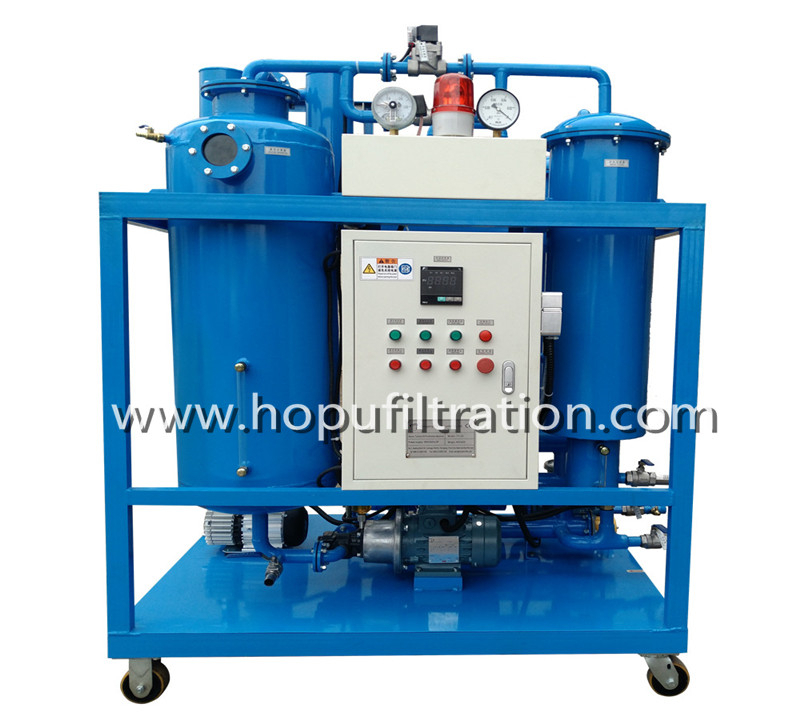 It is mainly used for purifying the insulating oil, transformer oil, mutual oil, switch oil, dielectric oil and so on.It can quickly remove water, trace water, gas, particles as well as acetylene, hydrogen, methane and other harmful ingredients from oil.It adopts the double stages vacuum system, which can improve the machines working vacuum value highly, Series ZYD effectively improve oil's dielectric strength, effectively to make sure electric equipments working safely and normally. 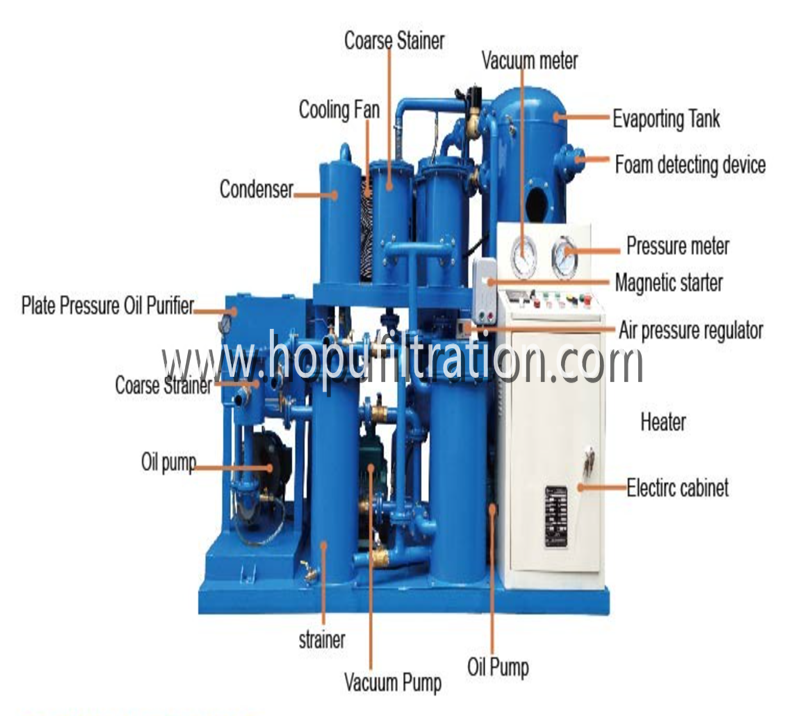 Series ZYD oil purifier is particularly suitable for treating high-grade transformer oil, supper-voltage transformer oil and new transformer oil. It can be used for more than 110V substation live line work on site. 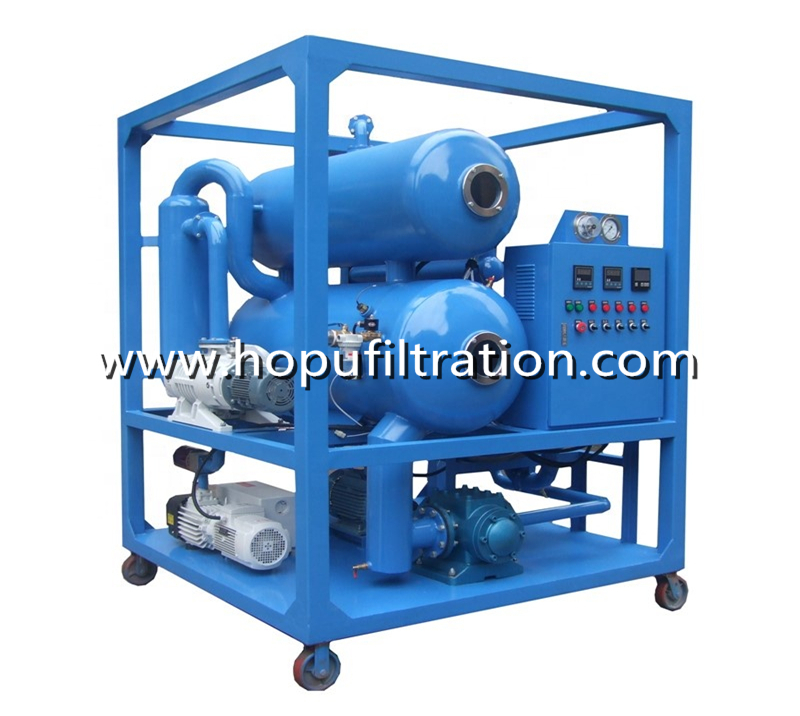 Meanwhile, Series ZYD oil purifier can be used as independent vacuum source with functions of vacuum drying and vacuum oiling. 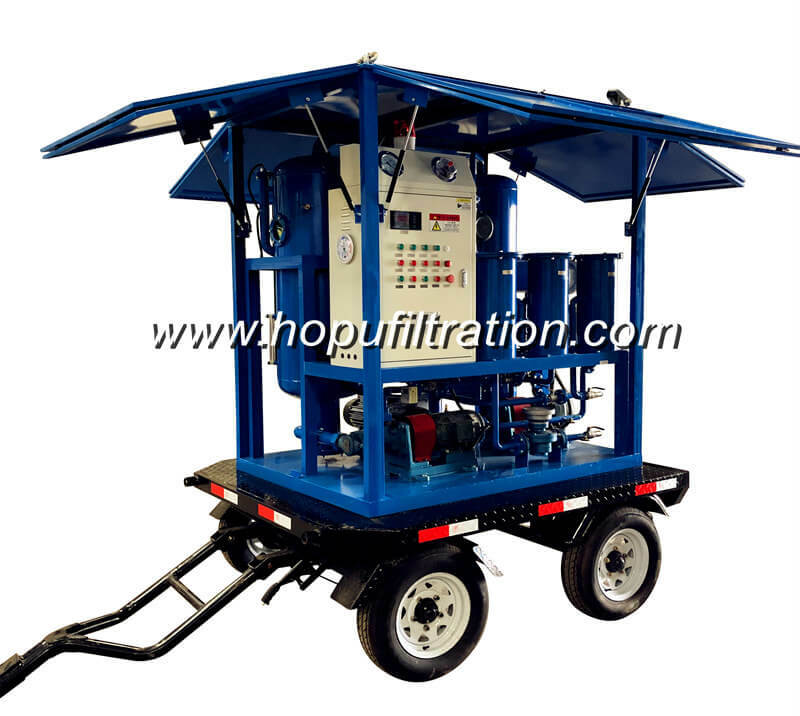 1.Double-stage High Vacuum dehydration and degassing and removing impurities from the used transformer oil. 2.Eliminate acidity, sludge, free carbon, discoloration elements, and other soluble matters in the oil, which decays the transformer. 3.It can vacuum filling oil to transformers, and it can vacuum dry transformers and on-line operation with transformer. 4.The standard ZYD system is designed for purifying and filtering oils in workshops, in storage tanks or directly in transformers (energized or de-energized transformers).